​Internazionale star Milan Škriniar looks set to be rewarded with a brand new contract at San Siro, after attracting interest from some of European football's biggest clubs, according to reports. 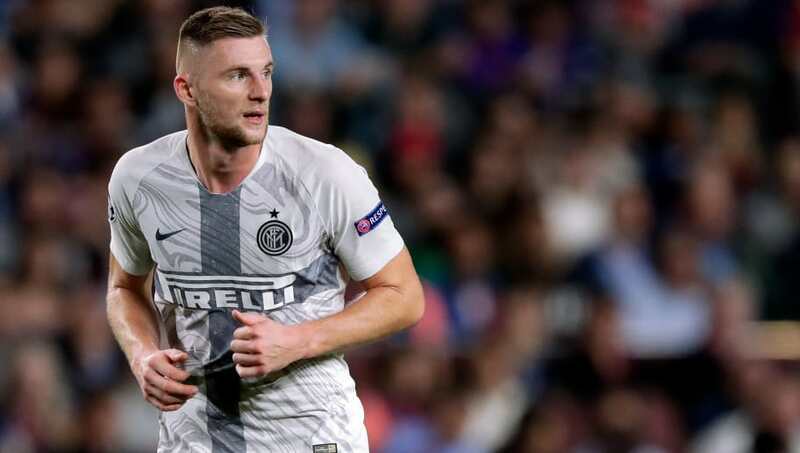 Škriniar has gone on to make 53 appearances for the club and is now one of the most important players in Luciano Spalletti's squad, alongside club captain Mauro Icardi. As Inter are now looking to return to their former glory days, ESPN report sources close to the club and player have confirmed talks are underway to extend Škriniar's current contract at San Siro. Škriniar already has a deal which runs until 2022. Recent interest from both Barcelona and Manchester United, however, has forced Inter's hand somewhat as they are desperate to fend off any potential suitors. "If it's Barcelona, they will have to pay €100m and if I am them I would pay a €20m tip on top," Spalletti said in a recent press conference, quoted by ESPN. "And if I'm Real Madrid, the [€100m] with a €40m tip - that is how highly I rate Škriniar." The extent of Manchester United's interest in Škriniar meanwhile is still unknown, but José Mourinho was desperately looking to bolster his defence during the summer and is likely to move for reinforcements once again next year.